Hubby's trying to grow a mustache. He's had beards and goatees during our time together but for the most part has kept his face clean-shaven. With no facial hair he's always had a young looking baby face, but now, with all this illness, he's looking very old. But I don't dare put that picture up today. I'm going for something much more colorful. Day 625 pieces turned into blocks on Day 626 and now have turned into a quilt top. Almost a quilt top, that is. 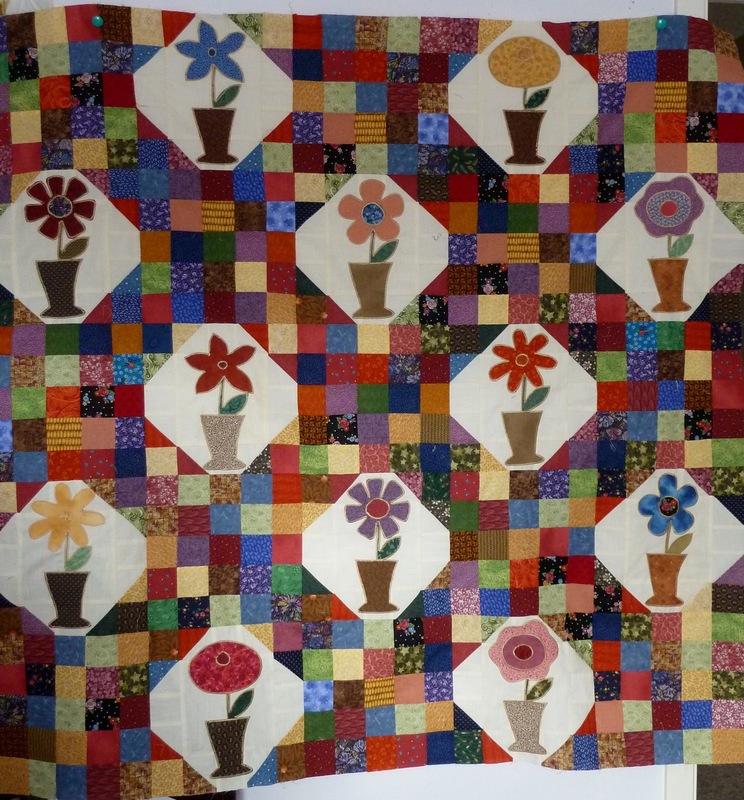 The pattern calls for an additional border with some more applique. I just don't have the energy (or patience) to finish it yet. I'm too busy with hubby having me count the white hair/brown hair ratio on the mustache.